View the latest styles from Queenspark and coupons to save ! Queenspark since its arrival in Australia in 2000 has expanded remarkably, and today has 33 stores located in NSW, ACT, Queensland, South Australia, Victoria, and WA. Queenspark is now offering an even bigger range between 6-22 & XS-XXXL. They have a position for offering beautifully created high quality designs in stunning seasonal themes. All Queenspark clothing has a little something special about it making them all one of a kind. Queenspark Australia are dedicated to ensuring that customers love their shopping experience - whether they're in-store, or on the website. 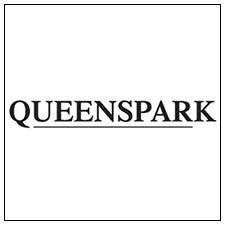 It has always been, and will always be a importance to give Queenspark customers excellent variety, with new styles in store every 10 days, and completing all online orders within 2-10 working days.